I haven't wrote about the particulars of Briella's care for awhile. I'm just going to get right into it. 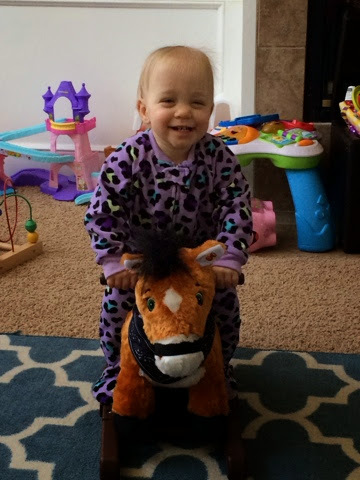 About 3 months ago we started Brie on Fish Oil therapy, in hopes that it would coat the receptacles in her brain and help with her speech development. Speech is pretty non existent. She used to say "Muah" when blowing kisses, but that sound has gone away. 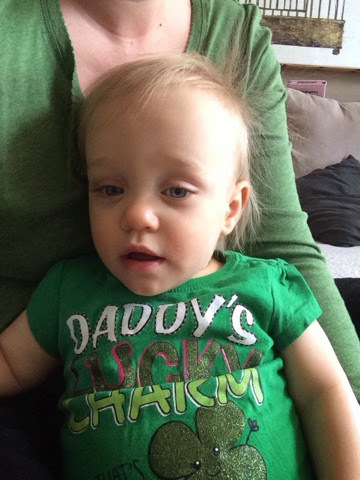 She has continuously said "dadada" and calls everyone dada. She signs for food & more. We have been approved for speech therapy but it has not begun yet but should start soon. Briella still takes Prevacid twice a day for her bad reflux. We have battled feeding aversions since the beginning. We were so happy when Briella started to enjoy food and that the aversion of bottles wasn't continuing into table food. We have started trying to get her off bottles & into sippy cups for quite awhile now. We use a straw sippy cup. We finally replaced her afternoon bottle with whole milk in a sippy cup with carnation instant breakfast in it for extra calories. Briella is still on high calorie preemie formula-Enfamil EnfaCare. She hasn't really gained weight in awhile, just holding steady around twenty pounds. 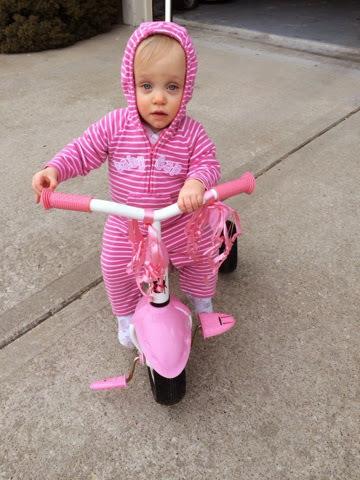 But that is to be expected with her becoming more active now that she is a walker. We are so very proud of Briella and how hard she works to accomplish what she sets out to do. Both of Briella's knees are hyperextended. She does not act like she is in pain, she just keeps up with big sissy. Also, she has a lot of tone in her ankles & has learned to walk on the ball of here feet instead of taking a step with her heel first. The physical therapist stated that Brie will make an amazing Ballerina & that she will be able to rock a pair of 6 inch heels better than any woman. 😃 Briella will wear braces on her legs and feet to help with her hyperextended knees and to train her to walk heel first. We also recently found out that one of Brie's legs is significantly shorter than the other, causing her to have an akward step. That can be reduced when she's a little older with an insert in her shoe. She has tone issues in her hip as well, which might have to do with why that leg is shorter. Briella has become quite the little monkey and climbs everything all the time. Yesterday we had to take the end tables out of the living room along with lamps & pictures. Which leaves mom no place to put her Scentsy. We have a trampoline that she loves to jump on. Jumping is hands down her favorite thing and brings her so much joy. Yesterday we took her to a public park for the first time. 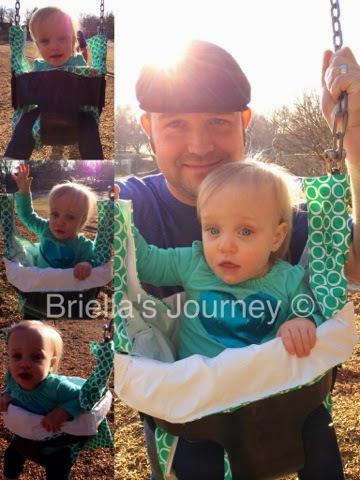 I found a swing cover that we use so that she can't get any of the germs from other babies who have used the swing. Today we are going to have family pictures done and are looking forward to being outside again. I'm very excited for isolation to end and to start showing my baby the world.